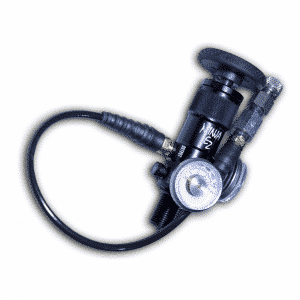 Tether your airgun using this regulator for consistent velocities and “no refilling” all day shooting. 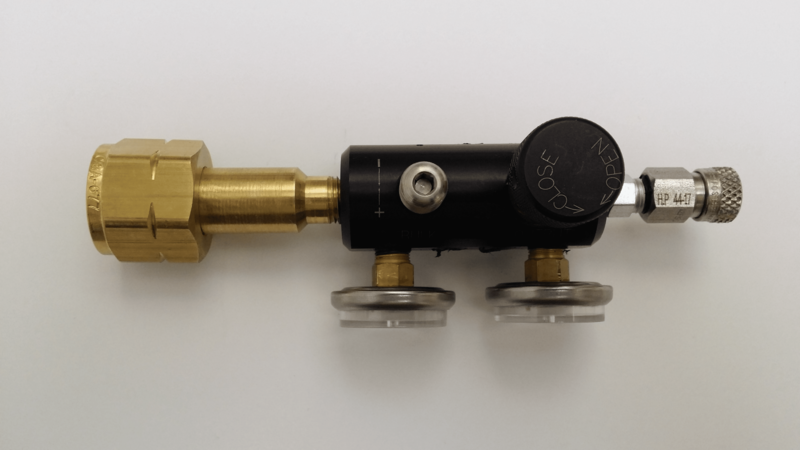 Externally adjustable output regulator that can be attached to any valve that accepts CGA 677 tank valves. 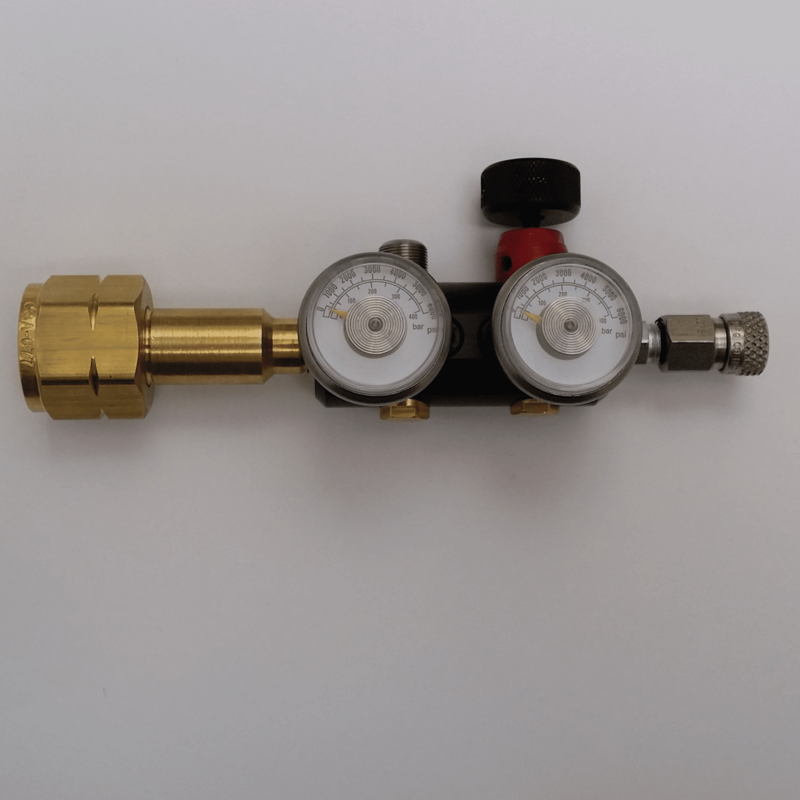 Comes with 2 gauges for internal bottle pressure and output pressure. 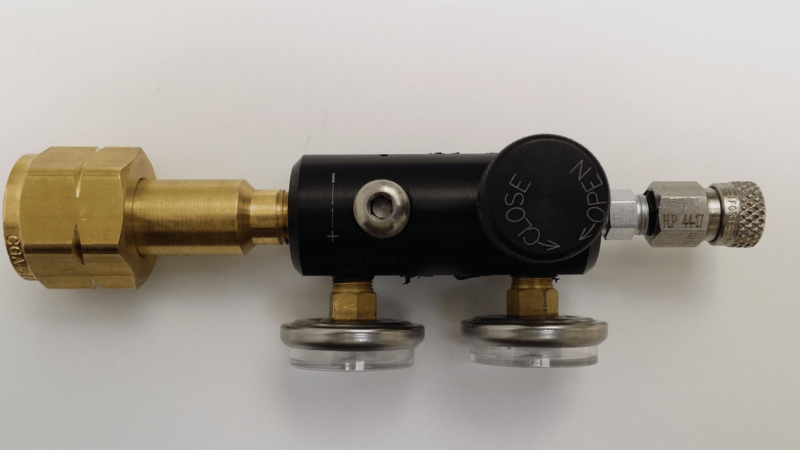 Automatic bleed valve built into the on/off knob. 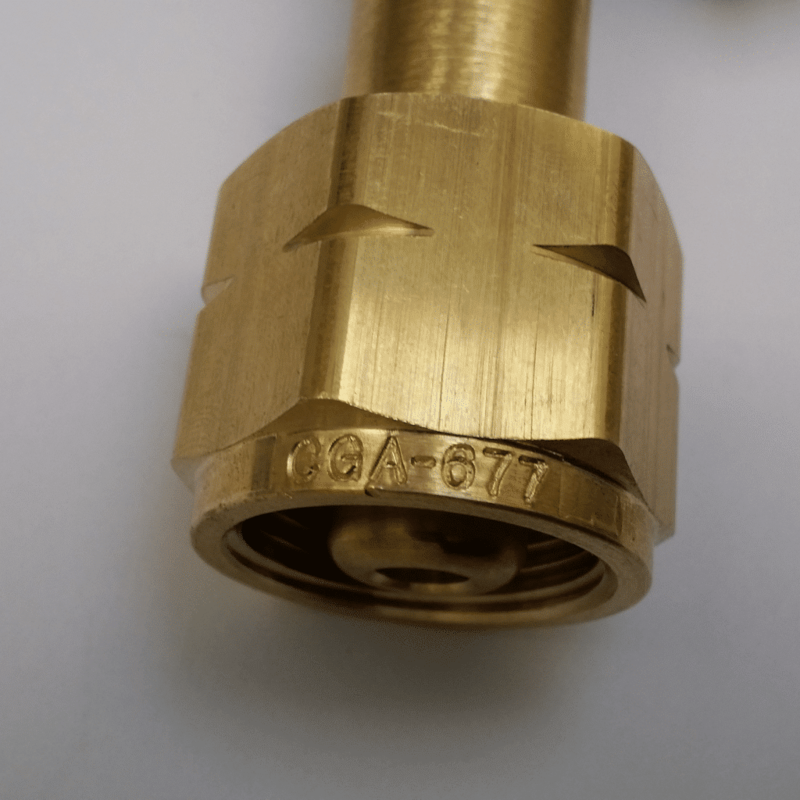 Foster stainless steel 5000psi rated quick disconnect fitting. 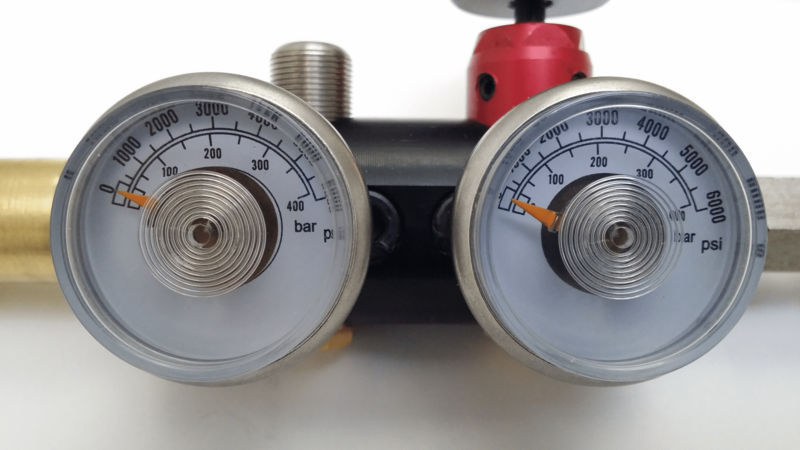 Output pressure can be adjusted by turning the adjustment screw and is adjustable between 500psi up to 5000psi. 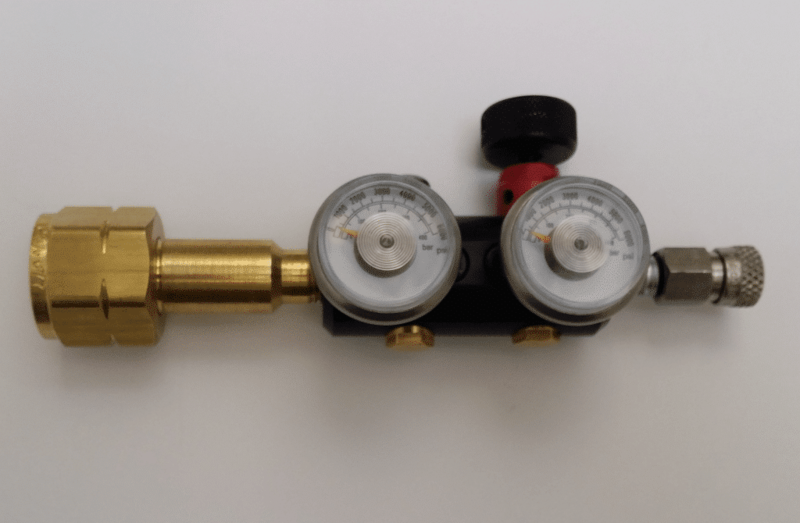 How this was designed to be used. 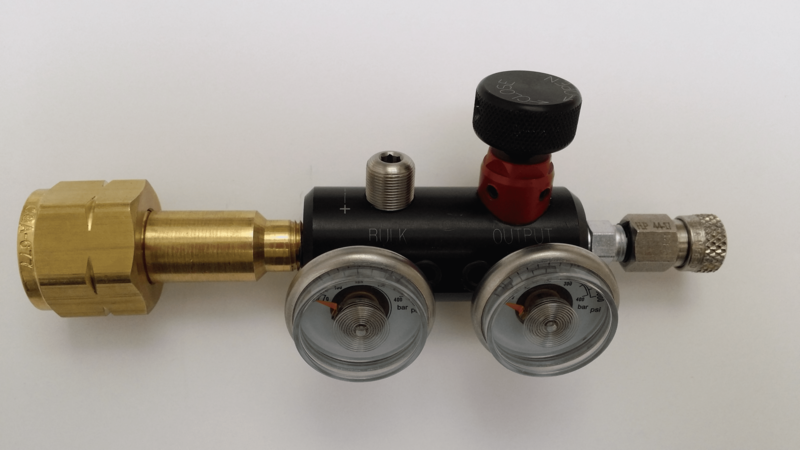 This was created to fill PCP airguns for people who didn’t want to buy an expensive compressor. The way this works is you call around to your industrial gas supplier like Airgas, or your local welding supply store. 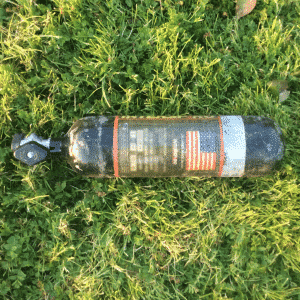 Ask them about buying or renting a large 6,000 psi Nitrogen tank. 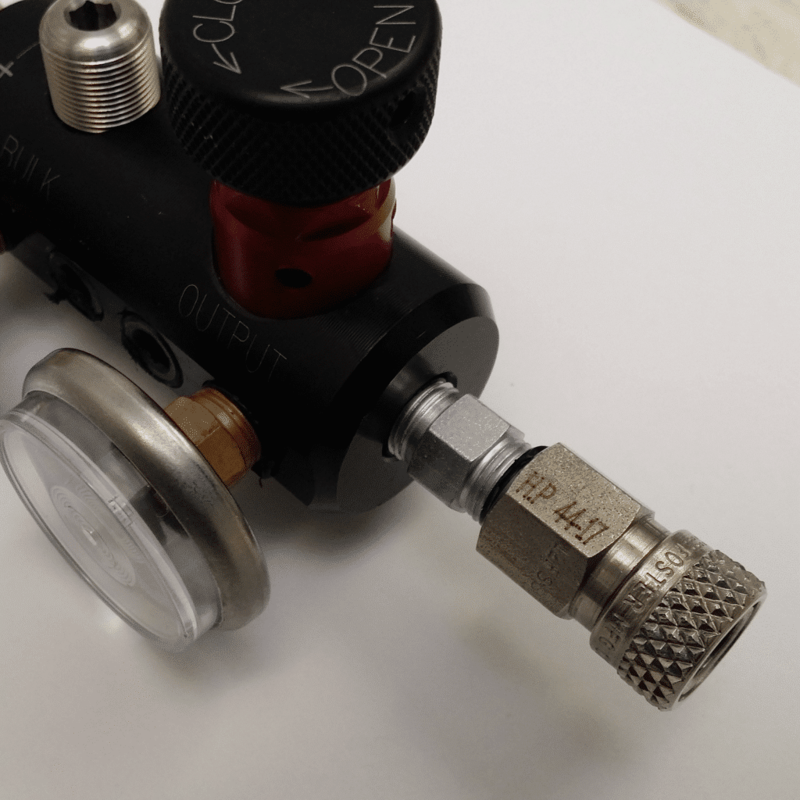 Then you connect this fill system up to the tank and set the output pressure to match your required fill on your airgun or air tank. 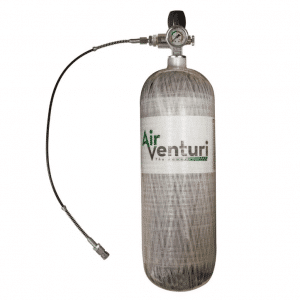 How Much air can a 6,000 psi nitrogen tank hold? 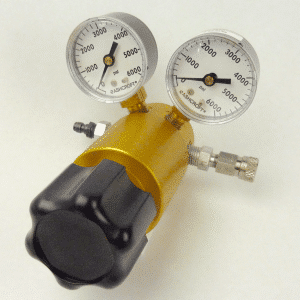 When full it can hold up to 300cf feet of air.